It’s a great ti me to invest in a Soundpro headset. Why not take advantage of our latest offer and get a free cable when you buy a headset from our Soundpro wideband, noise-cancelling corded range. Why bother with a headset? Do you spend a significant proportion of your working day with the phone jammed under your chin? Using a headset to take and make calls will allow you to multi-task while immediately reducing the potential of back and neck strain. Can your customers hear you clearly? 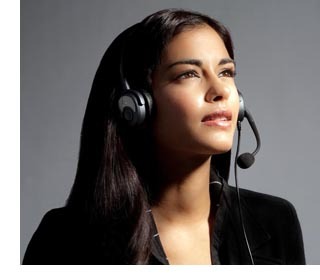 Investing in a headset with noise cancelling technology will deliver better customer service and increase your concentration and efficiency by ensuring clear two-way conversation. A Soundpro headset is robust, comfortable to wear and has first-class sound quality. All of this at an exceptional starting price of £50.41 excl VAT, with a free cable worth £11 and backed by a 2 year warranty. What’s not to like? Click on the link below to buy your headset with free cable. If you are still using the 2003 platform, you may be putting your business at risk. Why? Because your system will no longer receive software updates or security patches and this will leave you vulnerable to new threats and potentially in danger of non-compliance. Talk to the experts. Why not use this opportunity to take advantage of our free consultation service to explain how you can move away from buying costly hardware and software to a pay-monthly subscription platform instead. Adopting a cloud based system is cost-effective, flexible and future-proof. The set-up costs are low, there are no extra maintenance costs and all upgrades are automatic and free. “The day to day running of the business has been transformed. When we trialled Office 365, our engineers offered to pay for it personally if we had chosen not to have it! They liked accessing their diaries, emails, and files from anywhere at any time from not only their work laptops, but iPhones and even their home computers too – this helped with the smooth running of the business and helped them manage their own time and customers more efficiently.” Sara, Horizon Digital TV Sound & Vision. Click here to read more about how Office 365 transformed their business. If you can see the benefit of accessing your applications, creating, editing and sharing your files on any device anywhere and at any time, then Office 365 is for you. Call us now on 0118 920 9420 or email us at sales@com-solutions.co.uk to arrange your free consultation on what options are available to you after Server 2003. If you want all the features and benefits of an advanced telephone system without the expensive price tag, then why not consider a hosted system? 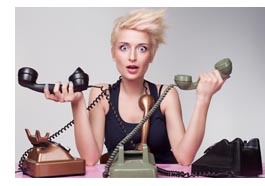 Hosted telephony is a robust and flexible alternative to a traditional phone system. Whereas a traditional phone system sits in your office, a hosted system is delivered to you as a monthly pay-per-user subscription service via a broadband line. This means that set-up costs are minimal and whether you have 5 or 5000 staff, it is fully scalable to meet your changing needs. It gives you the freedom to communicate through a variety of devices whether you are in the office, working from home or on the road. You can make significant savings on call costs and calls between users irrespective of device and location are free. You also have the peace of mind that as upgrades and new features are introduced, you benefit from them automatically; it’s a truly future-proof solution. Call us now on 0118 920 9420 or email us at sales@com-solutions.co.uk to discuss how a hosted telephone system can help you take the next step in business communications.